I painted a bedroom with Wilkinsons own brand emulsion last November, and have been totally convinced there was a small gas leak ever since - until I found this thread ! It smells like what I can only describe as "stale gas" - and as everything else I the room is brand new, down to the carpets I couldn`t imagine what was going on. Recently I had started having ideas that it could be the paint because I`ve done the *smelling everything in the room individually* and nothing smelled at all - of anything - so it was a total mystery, then I saw this thread and I`m almost certain that`s what it is now. Oddly enough, I`ve used Wilkos paint before on a HUGE expanse of hallways in the last house and no problems at all. "Wilko Colour Matt Emulsion Paint Moonlight White" which they say is a 'water-based vinyl matt emulsion'. I don`t know what it was I painted over, so maybe it was because of that. I`m glad I found this thread though because I knew I wasn`t going insane. Painted over with a tin of Zinsser BIN sealer. Quite runny so a bit messy to use but didn't smell strong and dried really quickly. The cat pee odour has pretty much gone (apart from one small area I missed) so will now just do a second coat on the bits I missed then go over with paint. I emailed Wilkinson and they told me to paint over with paint from the same brand but to make sure it had a different batch number to the smelly paint. They also sent me a £10 voucher. I will always be wary of using water-based paints now after this fiasco! Hope everyone else on here has got their stinky problem sorted out now. We painted my daughter's bedroom a month ago using Homebase Just One Coat Buttermilk. It had previously been painted 8 years ago over paper. We prepped the walls, painted and it looked fine. Last week as the weather warmed up we turned the heating off and the window started to be left open ... and the smell started! It's a West facing bedroom and is worse early evening (bedtime for our daughter), first we thought maybe it's a hidden bottle of old milk, maybe spilt perfume, nail polish remover, we were questionning her trying to work it out. Saturday the gas smell was worse so I threw open the window and closed the door to the rest of the house, as a result it got MUCH worse, one call to the emergency gas man later he established there was no leak but did suggest paint fumes. Saturday night there was still a smell so I shut the gas off at the mains I was that sure it was a gas leak, yet at 330am i went to check on daughter and her friend in the warm, dark room and the smell had GONE. Sunday though it was back, so I combed through the room as others have described checking every toy, item of clothing, the bedding, the carpets, and then realised the walls! Particularly the wall facing the large window that gets the sun late afternoon. So now we have to call Homebase and by the sounds of it we have a redecorating job on our hands. I can ventilate the room via the door but I should be able to open a window in my own house. We can do a bit of experimenting as there's a radiator cover that we painted that also stinks so I can check products out on that before comitting to the whole room. What a pain though, and the smell leaves me with a headache, I'm not sure how healthy it is for a 5 year old to be sleeping in there. Did ANY of you find the smell went on it's own or are we definitely in this for the long haul? The long haul I suspect, but good luck and follow the advice given on here...it worked for me so hopefully it will for you. It is just so darned inconvenient to have to redo all you have done, we were relatively lucky in that it was just one ceiling in our house. It's been nearly three weeks since our rooms have been repainted. First with the sealant and then two coats of Dulux. So far all good the awful smell has gone. The bedroom which was repainted three times in the past two months does smell of paint which I suppose is normal considering the amount of paint that has gone on the walls. I'm hoping this will fade. Our hall which hasn't been repainted does have a funny burnt smell so we'll just have to see what happens over time with this. I doubt the smell would fade over time say repaint is the only option. The customer service by Crown Paints wasn't great, never apologised even though we had to leave our home twice because of smell etc. (we have small child 20 mths). They never rang to see if problem was solved and still waiting for refund on original repaint. Would never recommend anyone to use Crown paints!!! The whole thing has been really stressful. I was the person that originally posted having this exact problem with Insulx Aqualock primer. I tried BIN as a seal, as I was hopeful as the smell of BIN quickly evaporated. I had some successes in some rooms, and other rooms its not completely gone. I find that the gas/ammonia smell has now been replaced by something more like "paint smell", but not exactly. This happens when i open the windows, and let in fresh air, the same phenomenoa when i had the horrible gas/ammonia smell. So what I want to say is that for me: truely getting rid of this problem is that there should be no new smell (even if its just paint smell) when i open the windows. I must say after one year of dealing with this, i still dont comprehend why fresh air triggers the problem. I recently took one room, and tried two coats of a waterborne alkyd primer. Lets see how this goes. Unfortunately thats a primer that takes a while to completely off gas, so it will be a while before i know if it worked or not, as there is still a lingering primer smell after 2 weeks now. I`ve noticed myself how much worse this is now the "warmer" days have come, sunlight, windows open etc - all contributory factors ? I painted first last November-ish and never thought for a second this was going to happen. Haven`t got round to repainting again just yet as I want to be sure whatever I do works first time (as I hate painting) and am keeping an eye on this thread to see what happens. I was even considering a thick coat of PVA...haha....but you never know, it might just come to that ! We're 2 weeks on from our repaint of our daughter's smelly room, in the interests of Science we took three approaches. We used Zinsser BIN on the radiator cover and a small section of the wall. Total success, no smell whatsoever now but a very expensive option as each can only managed 1-2 square metres. We 'accidentally' stripped he lining paper, and a fair bit of plaster off two walls then patched the plaster and painted a coat of International Alkali Resist Sealer and two coats of Dulux. The smell of sealer and paint faded from these within a week. The two walls that still have the liner paper, plus the smelly paint, plus the two coats of International Sealer, plus the two coats of Dulux still have a chemically new paint smell but we're hoping it's fading. The window has been open for two solid weeks to air it but it's still leaking out. Daughter is attempting to sleep in there tonight for the first time in a month. Homebase were great and provided new paint, all the materials we'd need including brushes, rollers, tray, plastic dust sheets and two cans of Zinsser. We bought the International for £15 for 2.5l off ebay and it was 'just' enough for a 3mx4m room with paint just to the dado and with a big window. The International is a PIA to paint on though, it's very thin and very stinky, I wouldn't want to fall victim to this again. Having an absolute nightmare with this. I moved to a small flat at the end of Feb and painted the living room with Crown breatheasy emulsion the first weekend. A bad smell was apparent in three days, but not really the gassy smell many of you describe - it smells like paint, but paint gone bad and mixed with sour milk. It's very strong and makes me feel very sick. Crown were very good at first and sent vouchers for sealant and new emulsion. I duly used these - but was conscious of the smell lurking beneath the new paint smells throughout and within a week it was back. I have had the windows in the living room open since the problem began, but Crown insisted I wait a couple of weeks and then I had to have a rep round to confirm the smell which took a while to co-ordinate. The rep did confirm (you really can't miss it) and Crown paid a decorator to reseal and paint again. However, the smell lurked underneath throughout and a week and a half later is back. Crown seem reluctant to help further - they say the sealant/primer and repaint is a proven solution and think maybe it will just take time for the sealant smell to go. The smell seems particularly strong around the doorway and bizarrely, just outside the living room. I have also noticed that the paint has bubbled where the smell seems strongest - but all the walls smell of musty off paint really mixed with a milky sour smell. I haven't been able to sit in my living room for nearly three months and have to keep the door closed to avoid affecting the rest of the flat, which is very small. Starting to wonder if there is a serious issue with my walls somehow? But they were painted when I moved in and the flat did not smell at all, and the rest of the flat has been painted (with Dulux paint) and there is no problem. I would have thought the wall composition couldn't change too much from one side of the wall to the other. What do I do next? Do I completely strip the walls and replaster? I am at my wit's end. It doesn't help that I am pregnant and am anxious that the exposure to all the painting and the smells isn't doing me any good at all. It also makes me reluctant to embark on massive DIY jobs, but I don't feel I can live in my bedroom much longer! 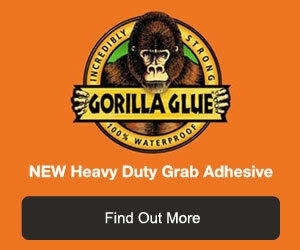 Try neat pva glue! If bubbling its still a chemical reaction happening! Is it just 1 room? Chisel back to brick and replaster! This will be a weeks work to remove and skim again! What area do you live in! And don't ever use crown!!! I live in High Wycombe, and trust me, I won't be using Crown ever again! Do you really think that stripping it all off and replastering is the only option? It sounds expensive as I'd have to get someone to do it as I'd be reluctant to do it myself while pregnant. Try neat Pva glue first non toxic! You could skim over pva glue if that don't get rid of smell! Save taking back to wall! Smells like moulding washing! I'm a building and first time I have ever used crown and last! I have coated with paint but smell still there! I will not use there sealer as fumes are toxic so I will use neat Pva glue it puts a plastic coat over it similar to gloss whole wall! I think it's a chemical reaction! Similar to ammonia! Stings eyes and makes you feel sick! Couple of times I see people mention PVA glue. Is this the same as wallpaper glue? What is neat PVA glue, and how does one apply this? Does it smell strong as it cures? Can you cover this with any paint. I am still waiting to see if two coats of a waterborne alkyd primer is going to cover up the problem (I used Benjamin Moore Advance Primer). It is just a very slow product to cure, so it still lingers primer smell. Until there are zero smell will i claim it works. PVA is white 'school glue' you'll know the smell when you smell it. You can buy it in big containers in diy sores and in smaller containers in hobby places (if you wanted to do a test run first). Yet another victim of smelly walls, the description of cat pee and nettles is exactly right! We have been in this house for 10 years and having never decorated the study/junk room we decided in February to turn it into a bedroom for our son. The walls were papered, separated by a dado rail ,the bottom half with a wood chip type paper which we left on. Stripped the top half and painted both halves with Wilko white emulsion. Ok so far, moved furniture in and within a few days, once the new paint smell had worn off, the smell started slowly at first then got worse. Searched bedroom for smelly/damp socks etc.... gets worse in warmer weather when sun hits the walls. However the top half are the only walls that smell, bottom ones are fine. Tried wiping the walls with neat Dettol lavendar disinfectant which worked for a few days (cool weather) but smell came back just as bad when weather warmed up. Then I found this site which descibed the smell exactly. On Thursday we covered the top half of the walls with International Alkali Resistant Sealer, ( Amazon £18.99 free P & P) and we are still suffering from the fumes today. Does anyone have any suggestions how to speed up getting rid of the Sealer smell? We have guests from overseas arriving in 2 weeks and were hoping to put them up in this room, looks like they might be in the lounge....thanks.